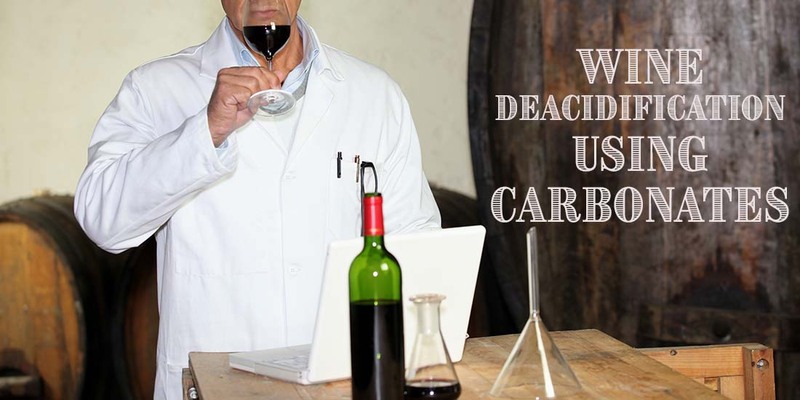 With deacidification, wine of high acidity can be brought into balance. 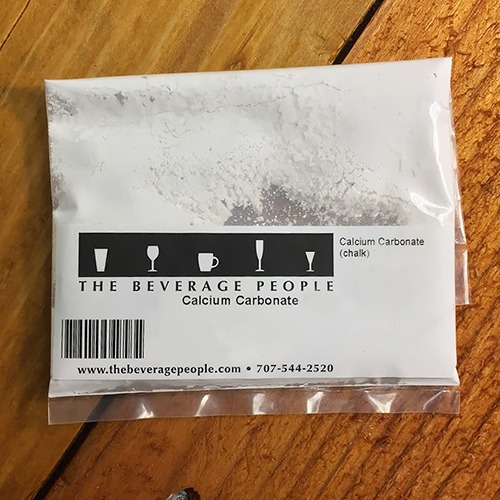 At The Beverage People we have generally preferred potassium bicarbonate wine deacidification when the use of carbonates is necessary. Musts with total acidity (expressed as tartaric acid) above 1.2% may produce wines too high in acidity for most people to enjoy. Such must will benefit from either the addition of water to dilute the acidity (added as a 20% sugar solution before fermentation) or by chemical reduction of acidity with calcium carbonate or potassium bicarbonate (or potassium carbonate). Amelioration with sugar and water is preferred where you have high flavor intensity (especially with eastern varieties such as Concord, Catawba, Niagara and Delaware), but not concerned with body. The amount of reduction will be approximately the percent of volume increase (ie. 1 gallon added to 9 gallons juice = 1/9 or .11% reduction). Some natural reduction in acidity occurs during fermentation when about 10 to 25% of the malic acid is lost and during cold stabilization when tartrates precipitate. Typically the reduction in acidity will be 0.1 to 0.2% from these causes. There will be an even greater drop if a malo-lactic bacterial fermentation occurs when a reduction of 0.2 to 0.5% will normally result. Such a fermentation will be desireable with most reds, but not with fresh, fruity whites. Addition of 2.5 grams per gallon of calcium carbonate will reduce acidity by 0.1%. It reacts preferentially with tartaric acid rather than malic acid. It also raises the pH fairly dramatically. For these two reasons you will almst never be able to drop the acidity by more than 0.4% by this method. You should try and keep the pH below 3.5 if at all possible. 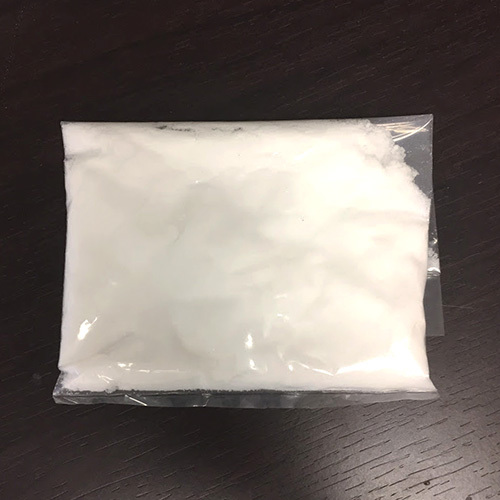 This material is best used in the fermenter or before fermentation because the calcium ions will affect flavor for some time after use and precipitation during cold stabilization is more difficult than with potassium salts (it will be more difficult to commence and will continue for a much longer period because both calcium tartrates and calcium malates are less soluble). If you must drop acidity by more than about 0.1%, you should add the calcium carbonate to a small fraction of your batch so that you remove both malic and tartaric acids. After the reaction has completed add this back to the main batch. If you have both high acidity and high pH you may have to actually add tartaric acid (to lower pH even though it increases acidity even further) at a rate of up to 4.5 grams per gallon before you treat with calcium carbonate. Afterwords, you must cold stabilize to reduce acidity. Addition of 3.4 grams of potassium bicarbonate per gallon will reduce acidity by 0.1%. This material may be added immediately before drinking and cold stabilizes more easily than a wine treated with calcium carbonate, but has the disadvantage of raising the pH more. A reduction of about 0.2% is a practical maximum. About 70 to 75% of the acid reduction will occur immediately and the remainder during cold stabilization. A salty or bitter taste will be evident in the wine from potassium ions when used at the upper levels. Potassium carbonate may also be used (2.4 grams per gallon will lower acidity 0.1%), but most of the research indicates a preference for using potassium bicarbonate. You will get foaming when it is used because of the CO2 released. It is possible to use a combination of acid reduction methods, but remember that you cannot combine both calcium and potssium carbonate or bicarbonate treatments without considering the effect of whichever one you used first. In other words you cannot take a 0.4% reduction with calcium carbonate and then a 0.2% reduction with potassium bicarbonate – use of one precludes the other.